We do not collect personal information about you (your name, telephone, address, e-mail, etc.) other than the information which you voluntarily provide to us through this site in order to satisfy your requests such as to, for example, enquire about our services. If you have emailed us with any inquiry (for example, about a company event or in relation to a job application), we will use your email address to respond to your query. We do automatically collect certain non-personal information when you visit our website, such as the type of browser and operating system you are using, and the domain name of your internet service provider (such as Comcast, AT&T). We use such non-personal information to analyse site usage (aggregated information about which pages were visited by our users) in order to improve the design and content of our website. Any personal information gathered by us may be shared, as appropriate, with any Trimiti Moebius Design Pty Ltd offices, affiliates, agents or contractors who assist us in providing the services we offer, such as, for example, fulfilling requests for information, receiving and sending communications, updating marketing lists, analysing data, providing support services or in other tasks from time to time. Our agents and contractors will only use your information to the extent necessary to perform their functions. We may disclose your personal information if required to do so by law, court order, or at the request of a law enforcement agency or if we believe that such action is necessary to protect and defend the rights, property of personal safety of Trimiti Moebius Design Pty Ltd, its website or its visitors. In the event that we undergo re-organisation or are sold to a third party, you agree that any personal information we hold about you may be transferred to that re-organised entity or third party. Personal information which you submit via the site may be transferred to other countries outside of Australia. If we transfer your personal information outside Australia in this way, we will take steps to ensure that your privacy rights continue to be protected. A cookie is a text-only string of information that a website transfers to the “cookies” file of the browser on your computer’s hard disk in order that the website can remember you when you return for another visit to the site. A cookie contains the name of the domain from which the cookie originated, how long the cookie will remain active, and a randomly generated unique number to track pages you have visited. Every time you visit our site, we may send you a cookie in order to track traffic to our site. Cookies may be used to enable the personalization features of our site (you can recall recently-viewed pages, and have information that you have previously provided be filled in automatically instead of having to fill in registration questionnaires every time), and to compile anonymous aggregate data that allow us to determine how visitors use our site and help us improve our offerings on the website. We may use session cookies (temporary cookies that remain in the cookie file of your browser until you leave the site) and persistent cookies (remain in your browser for a longer period of time, depending on the “lifetime” of the cookie) on this website. If you prefer not to receive cookies while browsing our website, you have the ability to accept or decline cookies by modifying the settings in your browser, although you may not be able to take full advantage of the Trimiti Moebius Design Pty Ltd website if you do so. In particular, you may be required to accept cookies in order to complete certain actions on our website. 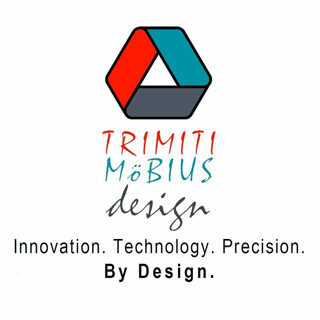 You do not need to have cookies turned on, however, to use/navigate through many parts of our website, except access to certain of Trimiti Moebius Design Pty Ltd’s web pages that require a login and password.